Named after the character in the famous novel, TT Line's Huckleberry Finn ferry features a a choice of cabin accommodation, a casino, a cafeteria and a shop. Huckleberry Finn has over 130 cabins and around 326 beds onboard! All are en-suite and are located above the car decks. Cabins come in a choice of 2 and 4 berth, inside and sea view (outside). 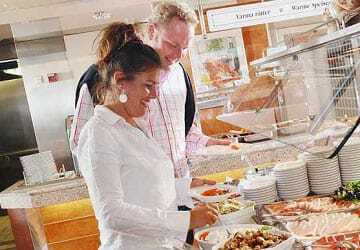 The Huckleberry Finn ferry takes care of your 'gastronomic well-being' and features a large choice of food in their self service restaurant. 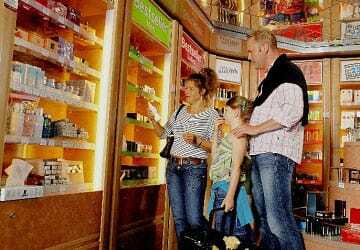 The 'Sea and Save Bordshop' stocks a wide range of cosmetics, spirits, tobacco goods, confectionery, fashion, accessories, wine, spirits and beer as well as travel essentials. You can also relax in the sauna or if you fancy a flutter then try your luck on the slot machines in the 'casino'. 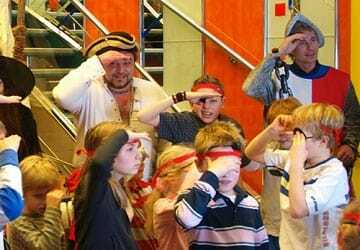 Children are well catered for with TT Line and the Huckleberry Finn ferry features onboard entertainment (during peak season) and a dedicated children’s playroom. 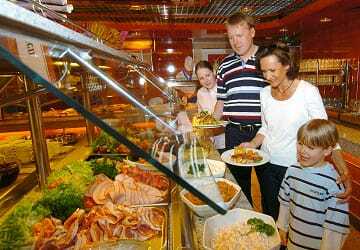 Children up to 6 years old eat for free in the restaurant which also has a well priced children’s menus. The upper decks are directly accessible from the car deck by wide lifts. Specially adapted cabins are also available. Please Note: Whilst we have taken great care in making our Huckleberry Finn guide as accurate as possible, onboard facilities, services and entertainment may vary depending on the date and time of year that you travel, facilities mentioned may change without notification and ferry companies reserve the right to operate vessels other than those mentioned at time of booking without prior notification. "Accurate, comfortable and pleasant :)"
Happy to travel with TT line. I had no problem with my travel. Very nice trip with the ship, nice portions of food and very punctual both for arrivals and departures. It seems to by very good. "Trip on the Huckleberry Finn"
I used the services offered by TT Line during a recent trip to Scandinavia. All good, the staff was helpful and the services good. I would recommend to book via internet, it's quick and easy. In the terminal in Rostock there is free Wi-Fi. Night ferry to Rostock. Nice to continue the journey south after a good nights sleep. Like a hotell but on sea. I recommend this. 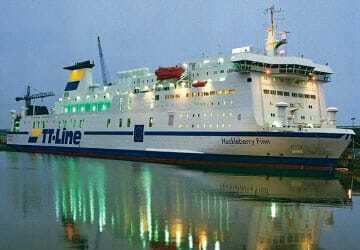 "travvelling with TTLINE to tralleborg and back to rostock"
"Good service & great staff"
We travelled to Trelleborg on the Huckleberry Finn recently and the staff, from check in to getting off, were great. Friendly and very helpful. Announcements were always clear and given in multiple languages. Can thoroughly recommend. Friendly check-in, well organized embarkation and placement on the ship. Very friendly staff. Reasonable prices on the food and there was plenty of good food in the cafeteria. Furthermore clean and proper, well maintained. I will definitely sail on this journey again. Thank you for a lovely sailing. good,fast,clean,perfect cabins. we liked it,the children were very happy. Very nice staff, fast boarding the cars. "Pleasant Experience (In The End)"
Firstly; after an early start and long day travelling we arrived at Trelleborg in good time for our 11 o'clock ferry to Rostock, only to discover that there wasn't an 11 o'clock ferry to Rostock anymore, it was now at 12.45am:- "somebody should have informed you". Ok then no big deal; well yes actually because we weren't booked on that one either. We were however booked on the 11 o'clock ferry the other way from Rostock to Trelleborg. Now my annoyance about this is more directed at Direct Ferries than TT Line because I booked through them and even rang them a week before departure to check all was as it should be. So there we were at stupid o'clock in a room full of Polish Truckers with no reservation. Step forward the girl from TT Line who played a blinder and sorted it all out and (in very good English) kept us reassured throughout the process. So even after all that out we found ourselves in more than good time for the ferry and the choices were go away and come back or check in then and wait. We had already established that there's not much going on in Trelleborg at night and so checked in. Having parked in our lane there wasn't much to do except wait. There was an indoor area with tables and chairs, toilets and a closed cafe but it was pleasant evening so spent it outside taking in the docks and people watching. Finally got on board about 11.45. I write the above in part to give a full review with as much info as possible, in part to vent but also to try and convey how we were feeling once we boarded, namely tired, hungry, thirsty and a little bit cheesed off. It is entirely to TT Lines credit that this didn't last long. The standard cabin we'd booked was clean, comfy, well appointed and relatively spacious and within 20 minutes of being on board we were sat down to a couple of beers and a hot meal, the choice and quality of which was excellent. It's not a long crossing and so the amount of sleep we got was only in the 5 hour range but it was sound sleep and breakfast was very good too. The ferry left and arrived on time and all the staff of TT Line were pleasant and efficient. Overall and notwithstanding the booking mix up I would sincerely recommend TT Line and The Huckleberry Finn. "Ferry to Trelleborg from Rostock "
Had an excellent trip. Ferry is great. Smooth ride good facilities. Internet available for free. Excellent value with good service. Time went by fast enough but we enjoyed the relax. Every year we go to Sweden on holiday. In recent years, we’ve always travelled by boat. Good departure times and good facilities at the ports. Rostock port has the best facilities and offers the possibility to leave your vehicle overnight in the parking area. I believe it is also the cheapest crossing to Sweden from the Netherlands.